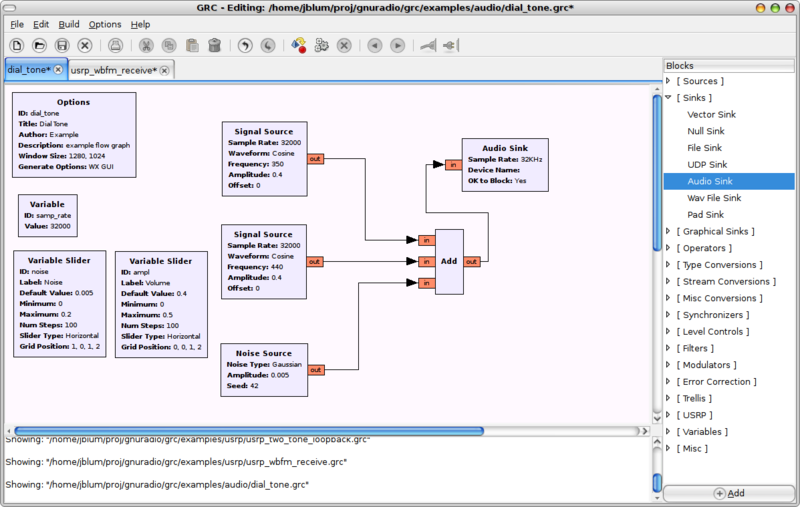 GRC is bundled with the gnuradio development trunk and gnuradio 3.2 release. If you wish to use grc, follow the instructions at the GNU Radio wiki. Please use the grc that is bundled with the current gnuradio master or the gnuradio 3.2 release. It has a years worth of work and improvements compared to the last versioned release of grc (0.70). In addition, the grc bundled with gnuradio is guaranteed to evolve with gnuradio; whereas the older non-bundled grc will stagnate and cease to be compatible with newer gnuradio releases. You can get the latest gnuradio and grc with this command. Make sure to follow the Build Guide. I do not recommend using any of the old releases, but if you really need them, they are here. Please ignore any readme files or notes. They are wayyy out of date. All grc subversion history prior to its gnuradio integration can be found here. You will have to wind back many revisions because the directory was removed. This was my presentation for the October 2009 Hackfest. The presentation summarizes recently-added features and possible future features. 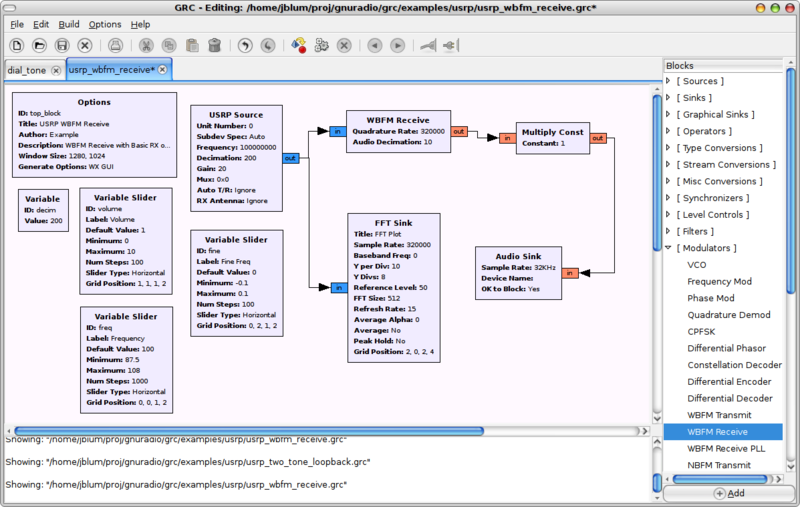 During my sophomore year at Johns Hopkins (2006-2007), I worked with Dr. Cooper, and Patrick Mulligan (MSE student) to create a graphical interface for gnuradio. We started with grant money from the Technology Fellowship Grants Program. The goal of the Tech-Fellows Grant is to use technology (aka a computer) to aid in the learning process. In this case, Dr. Cooper used grc is his digital communication class the semester after the presentation. I know of at least several other universities that use grc as a learning tool for digital communication. So, I am declaring this one a success.